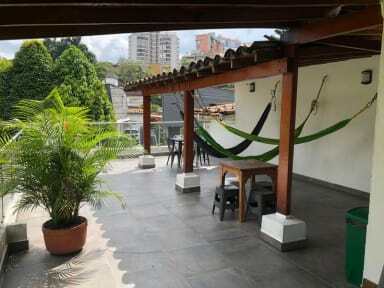 Black Sheep Hostel Medellin i Medellin, Colombia : Boka nu! Stayed 4 nights in a private room w bathroom which was really nice! Friendly and fun hostel but not too rowdy. Really liked the neighborhood, could walk home at night. Great staff! Only stayed one night and came in quite late so hard to give a fair review since I didn’t stay there so long. But it seemed to be a very new, fresh and clean hostel. Staff was also very nice. Reason I didn’t stay was because it’s a bit off the main area and nothing really around. 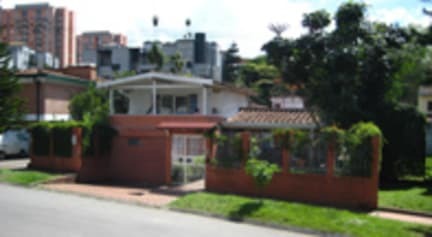 So as a solo traveller I wanted to stay the most central possible, but for a group I think this hostel is much better.